A meeting between the French ‘yellow vests’ and the Italian deputy prime minister, Luigi Di Maio, has lit a fuse between Paris and Rome. The relationship between the two countries has deteriorated in recent months. EURACTIV France reports. While the list of candidates from the “yellow vests” for the European elections is still being awaited, some of the movement’s representatives met Di Maio, who is also labour minister, on 5 February. The leader of the Five Star Movement (M5S) made this unexpected meeting public on Twitter, referring to a meeting with candidates from the “Ralliement d’initiative citoyenne” (RIC) list. Only a small number of candidates have so far been announced of the 79 required to stand in the May 2019 European elections. “Today, with @ale-dibattista, we have made a visit to France and met the leader of the ‘yellow vests,’ Cristophe (sic) Chalençon and the candidates of Ingrid Levavasseur’s list for the European elections. The wind of change has crossed the Alps,” Di Maio tweeted. But the meeting took place without Ingrid Levavasseur, leader of the RIC and a leading figure of the yellow vest movement. According to Le Monde daily newspaper, Levavasseur said that she opposed any political meetings before the list of candidates was definitively drawn up. With the announcement of a third ‘yellow vest’ list for the European elections, the movement seems to be divided. However, it has managed to make taxation one of the central issues of the May 2019 vote for French people. EURACTIV France reports. Even so, several members of the RIC participated in the meeting with the Italian minister, including Christophe Chalençon, one of the contested media figures of the ‘yellow vest’ movement. 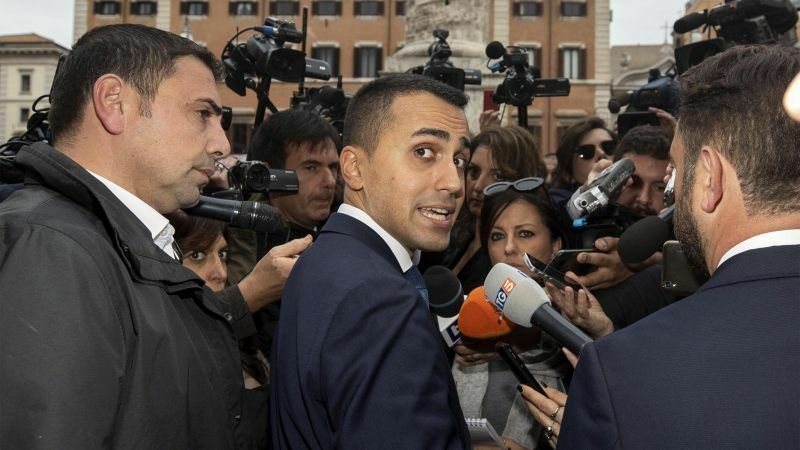 The meeting, which was made official by the Italians, comes in addition to support Di Maio has already expressed for the “yellow vests” since the beginning of January. 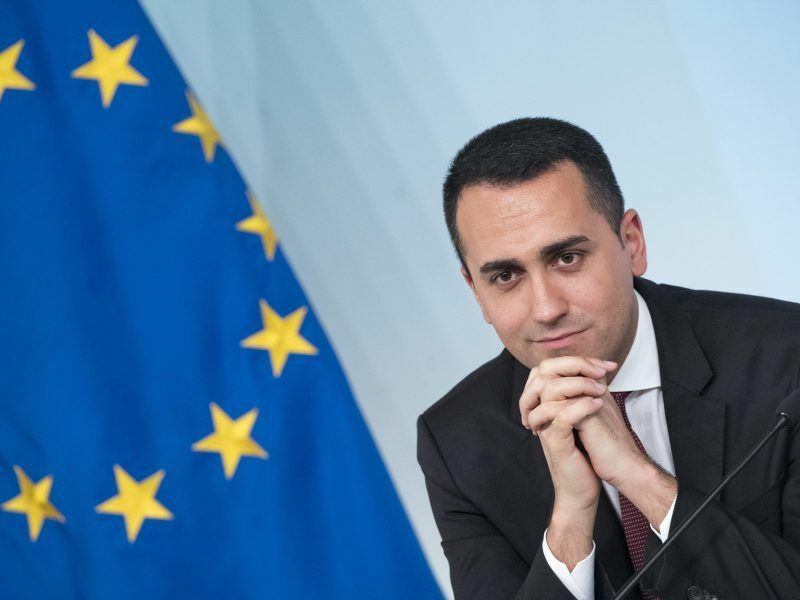 Luigi Di Maio, the Italian deputy prime minister and leader of the 5-Star Movement (M5S), likened the French ‘yellow vests’ to his own political movement. Moreover, he openly criticised the French government. EURACTIV France reports. The Italian populist movement has sat in the European Parliament since the last European elections, alongside British UKIP MEPs in the Europe of Freedom and Direct Democracy (EFDD) group. However, in the light of Brexit, the Five Star Movement will have to replace its British allies during the next parliamentary term. On the French side, the meeting angered the government to such an extent that the French ambassador to Italy has been recalled to Paris “for consultation,” the ministry for Europe and foreign affairs stated in a press release on 7 February. “The latest interference constitutes an additional and unacceptable provocation. It violates the respect due to the democratic choice made by a friendly and allied nation. It violates the respect owed between democratically and freely elected governments,” the French ministry for foreign affairs stated. “The campaign for the European elections cannot justify the lack of respect for each people or for its democracy,” the press release stated. In recent months, the relationship between Italy and France has grown tenser, following the entry of the Italian far-right into its government. Matteo Salvini, leader of the Lega and strong man of the Italian government, has publicly criticised Emmanuel Macron on a regular basis, in a practice that is usually prohibited between European heads of state and government. The last point of discord was the Alpine rail connection between Turin and Lyon on the European Corridor 10, which Five Star Movement considers as a public investment unnecessary and not cost-effective. A further bone of contention is the Italian refusal to receive refugees saved from the Mediterranean. This was criticised by France and has soured Franco-Italian relations. Di Maio also spoke of France as a neo-colonial force that, by exploiting the sub-Saharan people, boosts the exodus of migrants. The French ‘yellow vests’ have also drawn the attention of Steve Bannon, former advisor to American President Donald Trump. Having embarked on a campaign to unite populist forces in Europe, Bannon has been attempting to bring together various anti-European or far-right political groupings for many months. 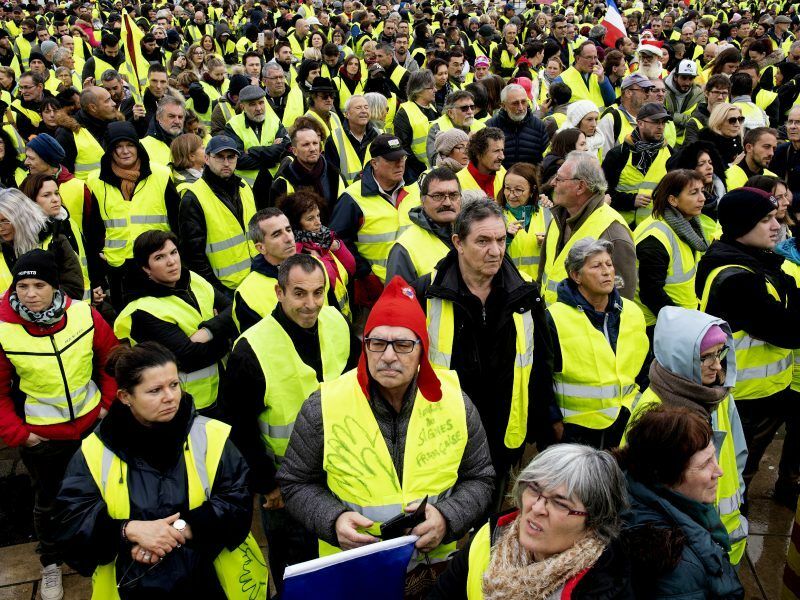 “In the country of the French revolution, the ‘yellow vest’ movement is currently fighting the mother of all battles. They are an inspiration for the whole world,” Bannon told weekly magazine L’Express.